Have you been traveling or planning a long trip. Whether it is just for a few weeks or for many months there are many ways to save money before and while on the road. First of all, cut down on any extra expenses. Restaurants, theater, movies, etc... Less activities before you leave will mean more activities while traveling. If your goal really is to travel you will easily be able to cut down on some unnecessary expenses. Think ahead of what you will need in your backpack and buy when on special, try looking online for some stuff you might find great deals compared to local shops. This past January I went to visit a small part of Colombia for a two week holiday. I was only able to make it in a small part of northern Colombia. Cartagena and around Santa Marta. I must say that two weeks was absolutely not enough. There was so much more to see in just that part of the country and I haven't seen anything else. Now I definitely wish to go back to visit the rest of this incredible country. January 4th, 2014 I take the plane from Toronto towards Cartagena. I get there around 4:30 pm. I get to my hostel 'Las Chancletas' and meet with four Argentinians that also just got in town. We chat around the hostel for a while and later in the evening we head out into town to find some good street food. Awesome as usual, why is street food always so good. Paranoia, possibly I will never know for sure. In the end everything went fine, but I will forever wonder if that one time I thought I was being followed, was I really paranoid. I was in Huancayo, Peru in July 2013 only for an afternoon. First I must say that I was in a very weird mood of feeling lost and loneliness. Having gotten to Peru only a little less than two weeks, I was homesick and had headaches due mostly to altitude sickness, I had no appetite and did not drink enough water (very important in altitude I have learned), so my second week of traveling was very weird. Rapa Nui, or Easter Island as it is known today, is part of Polynesian islands and positioned in the Pacific Ocean, around 3,500 km (2,180 mi) west of continental Chile. It is one of the world's most isolated inhabited islands, its nearest inhabited neighbor (Pitcairn Island), located some 2,075 km (1,289.35 mi) to the west. The history of this island is captivating and still mysterious to this day, mainly because of the nearly 900 monumental statues, called Moai that were created by the early Rapa Nui people. It is a Unesco World Heritage Site, with much of the island is the protected area of Rapa Nui National Park. The remnants of these massive Moai statues, were hypothetically representation of past chiefs of each villages. The early settlements of the island were located along the coastline and Moai were erected there to watch over their descendants, this is why they were facing inland towards the living and they had their backs toward the spirit world in the sea. Archeologist have found the remains of men under the Moai statues, it is thought that each statue represents one important chief. There are many reasons for which people will decide to whether or not leave to travel the world or parts of it. I am listing here all these reason with either the positive of negative sides of it all. Loneliness : Are you afraid to be lonely while traveling solo. You have two options, you find a partner that is willing to go along or go alone and meet other travelers on the way. While traveling and living in hostels you will not always be alone, as long as you are sociable and willing to talk to strangers. Not only that you will meet locals on the way that will become friends even thought there might be a language barrier. Even alone, some places are incredible. No one to share : If you travel solo, you will not always have someone along the road to share all your experiences, but with the social networks and blogs of today you will always be able to share your adventures with friends and family back home that will interact and keep contact with you along the way. A month and a half after coming back home from 8 months in South America I went back south to Roatan Island in mid-April with a few friends. It was an all inclusive week in of of the many resorts of the island. Roatan is becoming more and more a tourist destination. With it's Caribbean mood and feel, everyone would fall in love with the island way of life. I loved it in Easter Island and I also did enjoy it as much in Roatan. Situated at about 50km north of Honduran mainland. It is a fair size island of 60km wide and 8km across, where most of the 25,000 of population lives near the west coast. For snorkeling and scuba-diving fans, you should love the place. It is the second biggest barrier reef of the world with a wildlife that will amaze you. I had to pass on that, but would have loved to. I finally came around to scanning the pages of my passport. For safekeeping souvenir but also because I wanted to share it. So here they are.... Have you ever been to any of these countries? Do you recognize them? The plane land on the island at 6:30am. I go to a hotel named "Chez Cecelia". The lady tells me that she will have something available but only in the afternoon. No problem, so I leave my bags there and head out in the direction of the trail that will lead me to the "Rano Kau" volcano top and the archeological site of "Orongo". What a view from up there on the town and the ocean. The crater is very impressive and "Orongo" is quite an interesting site. I get back in town and go back to the hotel and the lady tells me to pick my bags that she will bring me to her hotel house where she as an available room. We are almost all the way out of town and I would have to walk 30 minutes to get in town or have to take cabs every time. She had not told me that earlier, a little later she gets mad at me because I booked a tour to the Maoi sites with an agency downtown when she had already told me that she organized tours (Can I choose who I want for my tours, please). Not long after I go back to town to find another hotel because with the attitude she gave me and the dump she brought me too does not please me at all. I find another room, private this one, in town for only a few more dollars a day. I take a cab and go back to the other place and take my bags back and leave without saying thanks. She was asking 45$ US a night for a room shared with her nephew, no personal lockers for my valuables and the front door to the house doesn't lock. So I went back to Hotel "Atariki", where she asks 50$ US a night and I'm right downtown. Cusco in Peru was a wonderful town to visit. While you are there take the time to visit the many archeological sites around before going to Machu Picchu. There are many sites around Cusco Tambomachay, Puka Pukara, Q'enqo and Sacsayhuaman are right by the town itself. Pisac is only half an hour away and on your way to Aguas Caliente stop in Moray, Maras and Ollantaytambo. Look around because there are also many more site to see nearby. I always suggest to visit all the sites you want before going to see Machu Picchu. Once you'll see this last one all the others will seem less interesting even though they really are worth visiting also. Click on pictures to get full size image. Then click the right side mouse button and choose 'Save Picture As' or 'Set As Background Image'. 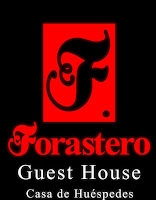 Forastero Guesthouse was a very nice place to stay. Very quiet place and quite a nice house. Not many people were in the hostel when I was there and the place was always good. The facilities were complete in every way, except that there was only one shower. It was good while I was there because we were few in the house, but I can guess how crowded it can get if the place is full. Beatrice, the owner, was very helpful and very nice, she also speaks pretty good english if it is needed for you. She also has a service for tour booking. The kitchen is very big and well equipped, there is also a computer with internet available in the upstairs TV room, also Wifi that worked very good. It is a little walk from the Plaza 25 de Mayo (5 blocks), but it can easily be done even with your luggage. Breakfast was included, which is bread and jam and you can ask for eggs if you wish, it also includes coffee or tea. You can also sit outside in the very nice backyard. 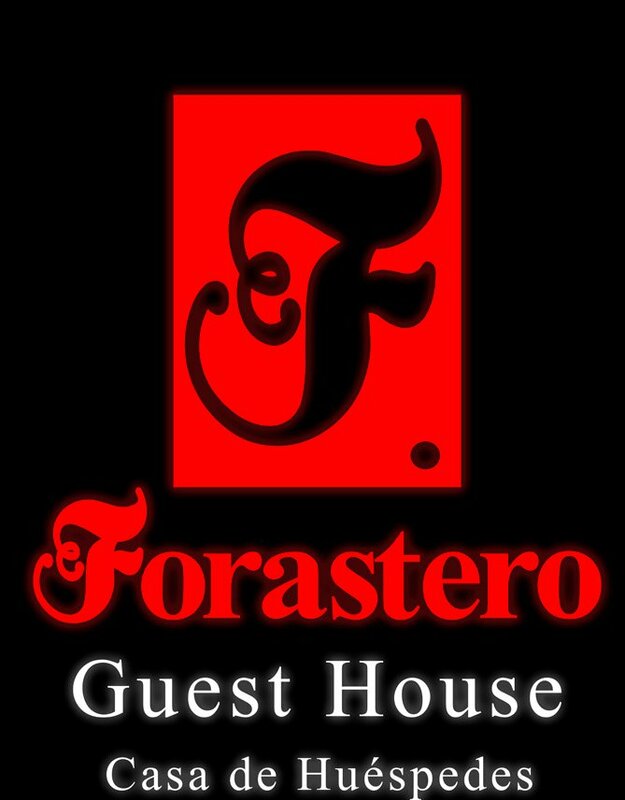 I stayed in Forastero for 6 days and I have had a very good stay in the guesthouse. If you are looking for a party place or a place to meet many other travelers it is definitely not the place to stay. One thing to take into consideration is that at the time I was there, there was no lockers that you could lock you stuff in inside the rooms. I just dont like leaving my stuff around the room, luckily I was alone in my room the whole time. So all in all I did like the place and if you are looking for a quiet place to stay in Sucre I would recommend Forastero Guest House anytime. I would give a 4 out of 5 note, taking a point out because of having only one shower and no personnal lockers in the rooms, but other than that it's very well. 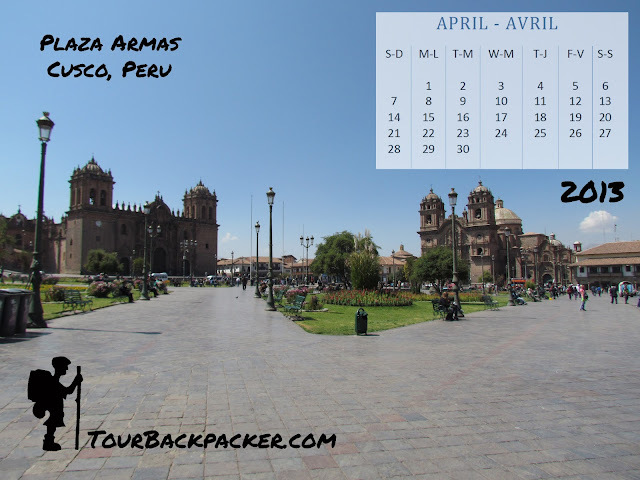 ©Tour-Backpacker, all the info. and pictures on this site is exclusive property of Tour-Backpacker. Powered by Blogger.